The Chennai Division of Southern Railway introduced an energy-efficient self-propelling three phase EMU on the Chennai-Tambaram-Chengalpet route on Tuesday. CHENNAI: The Chennai Division of Southern Railway introduced an energy-efficient self-propelling three phase EMU on the Chennai-Tambaram-Chengalpet route on Tuesday. Compared to the conventional EMU rakes, the new train can carry 20 per cent more standee passengers, the railway officials said. “The seating capacity of a 12-car EMU train is 1,256 and standees capacity is 3,768. 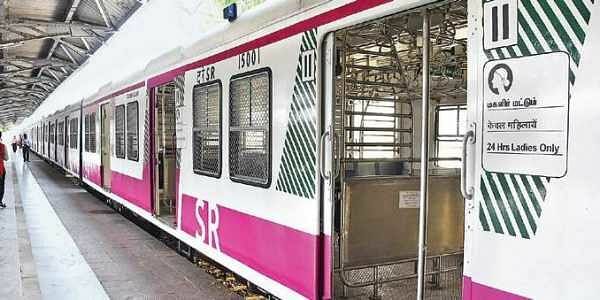 The new rake has 1,168 seats and provision for 4,852 standees, which is 20 per cent more than conventional EMU rakes,” said official sources. The new 12-car rake comprising four units with solid-state Insulated Gate Bipolar Transistors (IGBT)-based three-phase propulsion drive system has been manufactured by Integral Coach Factory at Perambur. With LED indication for pulling emergency chains, the train has advanced German technology for a comfortable ride. To improve the safety of women passengers, CCTV cameras have been fitted in ladies compartments. “In addition, modular roof mounted forced air ventilation is provided to enable passengers to get fresh air,” a railway official added. Every coach has GPS-based passenger information system for announcement and display. “Unlike the conventional EMU rakes whose speed is restricted to 80 kmph, three phase EMU trains can run up to 105 kmph,” the officer explained. He said in the new rake, the loco pilot cabin is fitted with air-conditioner facility along with private communication system to make announcements in coaches. The new EMU train will be run as six services between Chennai Beach and Chengalpatttu and three between Chennai Beach and Tambaram. “Four more three-phase EMUs would be added to the suburban services soon,” sources said.